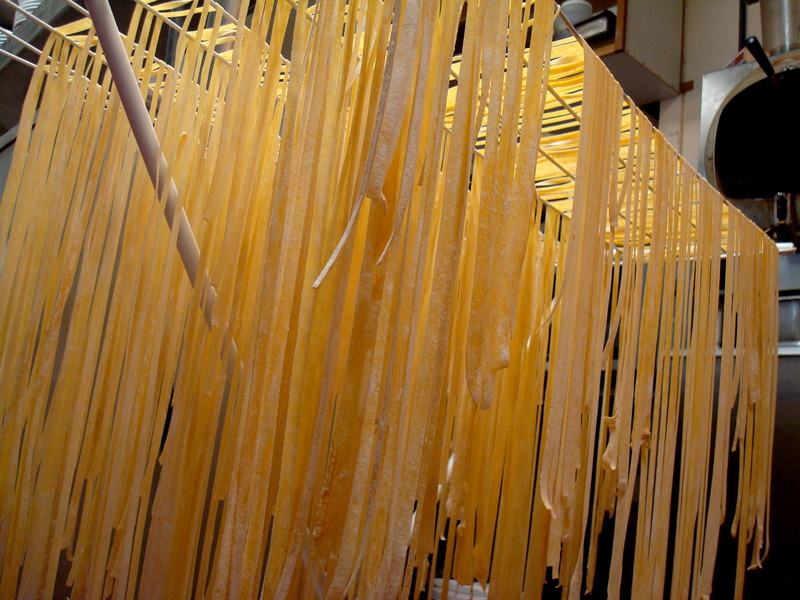 Homemade Pasta by Chef Intaba at Fireworks Restaurant. Told you the gluten-free thing wouldn’t last. This weekend, I indulged in yeasty bread, Block 15 beer (including a sweet-tart, heady, Belgian-style “Cherry Quad,” with 11 percent alcohol) and homemade pasta from Chef Intaba. She had scraps from her manicotti shells she couldn’t use, which made perfect eggy and soft, makeshift lasagna sheets. Though they didn’t hold their shape or get those crispy edges, they still made an easy Swiss Chard Lasagna, perhaps my favorite vegetarian lasagna recipe. Blanching imparts the chard with a sweetness, while it still stands up more sturdy than spinach, with none of the bitter taste of other greens. Definitely feel a bit more distress in the belly as it tries to digest wheat again. I hope avoiding gluten doesn’t make it even more painful for the body to break down once you resume consumption. You know, how vegetarians throw-up upon eating meat after years of abstention. Everything in moderation–the middle path–that’s me. 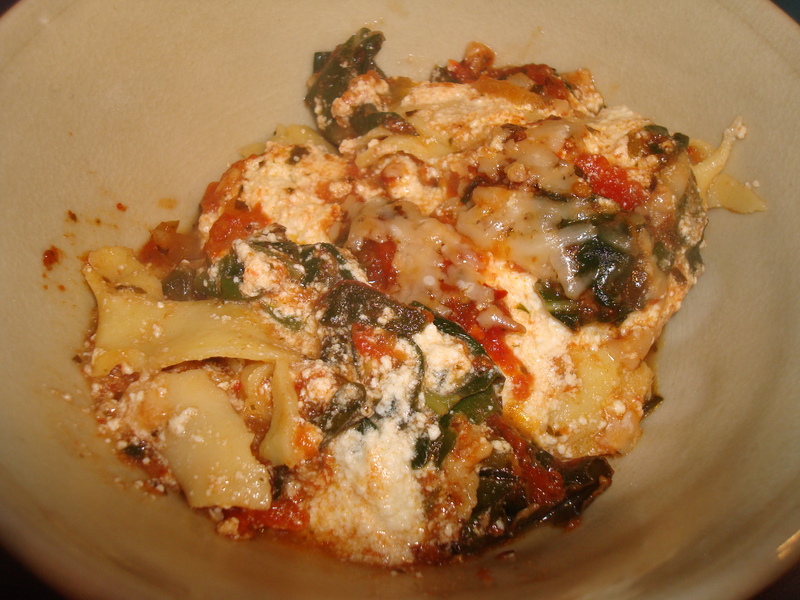 Fall apart Swiss chard lasagna: don't judge it on the looks! 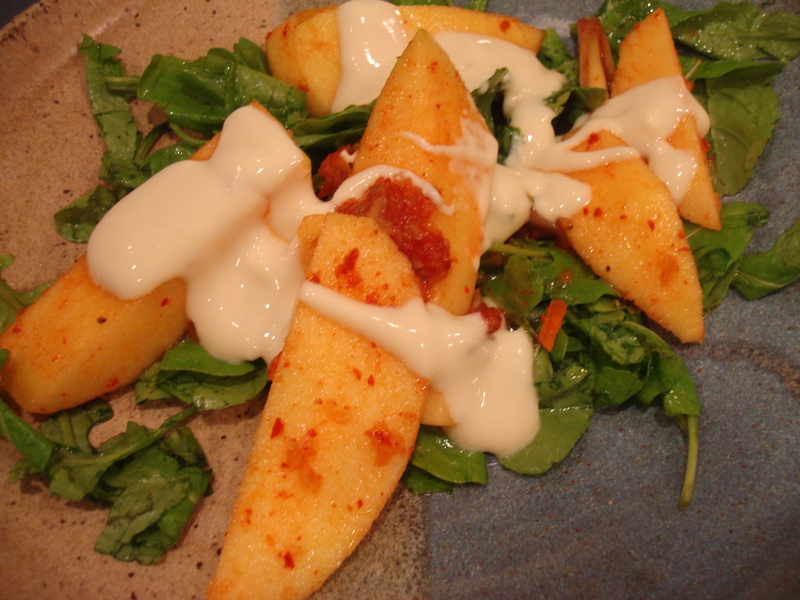 Started with a Salad: Yummy Kimchi-Marinated Apples with Arugula and maple yogurt, ala David Chang. Very interesting post thank you for writing it I just added your blog to my favorites and will check back 🙂 By the way this is a little off topic but I really like your blogs layout.